Today, we’d like to share news of an exciting partnership that will help make Coursera content accessible for hundreds of millions of Chinese-speaking learners throughout the world. Working with NetEase; one of China’s largest internet companies and a major distributor of open educational content — we’re embarking on an initiative to break down the language and technical barriers that have existed for our students in China. As part of this initiative, we’re proud to announce the launch of Coursera Zone, a Chinese-language portal to Coursera.org hosted on NetEase’s popular open education website open.163.com. 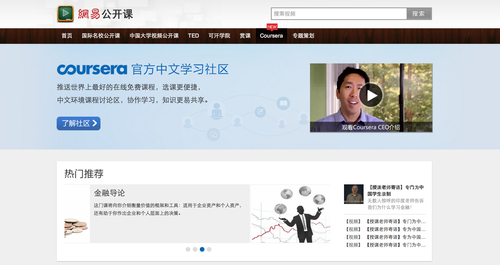 How is Coursera working with NetEase to make course content more accessible in China? To start, Coursera and NetEase are working together on two major projects. First, Coursera and NetEase are joining together to create Coursera Zone — a NetEase-hosted, Chinese-language portal to Coursera.org. The aim in creating Coursera Zone is to help Chinese-speaking students more easily find and engage with content from Coursera’s partner universities and institutions. Specifically, Coursera Zone will feature translated course synopses, a Chinese-language orientation to the Coursera platform, Chinese-language discussion forums, and student testimonials. In addition to providing more Chinese-language resources on Coursera Zone, Coursera and NetEase are also working together to improve site performance for Chinese users. To improve video streaming speed, for instance, Coursera has begun storing copies of video files on locally hosted, NetEase servers. What led Coursera to decide to partner with NetEase? We believe that hundreds of millions of people living in China stand to benefit from access to the free online courses offered by our partners. Today, however, a number of obstacles — from language to technical barriers — prevent Chinese students from taking full advantage of our resources. Our primary goal at Coursera is to help students overcome the barriers to a quality education — whether these barriers stem from tuition costs, geographic location, or language. 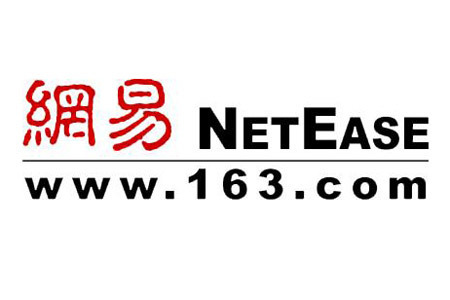 We strongly believe that our partnership with NetEase helps us better achieve this goal in China. How will Coursera Zone be different from the regular Coursera platform? We’ve created Coursera Zone with two primary goals in mind: We want to help Chinese students discover great content on the Coursera platform, and we also want to help these students have an even better learning experience once they arrive at Coursera.org. To that end, Coursera Zone offers a number of additional features to help Chinese-speaking students specifically navigate the platform. For instance, Coursera Zone’s translated course description pages, Chinese-language FAQs, and localized discussion forums are all geared towards helping Chinese students find great classes. We hope that these resources help Chinese-speaking students have an even better experience on Coursera.org — where all of our partners’ educational content will continue to be hosted. Does Coursera’s partnership with NetEase have any implications for student data? Our partnership with NetEase in no way affects Coursera student data. Except for copies of most course videos and (already public) course description information, no other Coursera content will be hosted on NetEase servers. All student data and class materials will continue to be hosted on Coursera’s US-based servers. What else is Coursera doing to improve the learning experience for Chinese students? In addition to our work with NetEase, Coursera continues to collaborate with a number of China-based partners to improve the learning experience for Chinese students. One of our main goals in China — and in all countries throughout the world — is to connect students with relevant and accessible content. We’re working to achieve this goal in China by expanding our number of university partners that offer courses in Chinese (currently, that list includes National Taiwan University, Peking University, The Hong Kong University of Science and Technology, and The Chinese University of Hong Kong), by supporting the work of our two China-based Global Translations Program partners (the Chinese social networking site Guokr, and the volunteer translator community Yeeyan) and by localizing our site to Chinese (you will be able to see this if your browser language setting is ‘Chinese’)!